Try a climb of our free standing 20 foot climbing pinnacle you can and you can literally reach new heights! Looking out over the urban life of Karuizawa onto Mt Asama. No previous climbing experience necessary and our friendly adventure centre staff will be on hand to help you prepare and be there to belay you in case you don’t make it to the top! Need to book: No, please register at the Karuizawa Adventure Center reception, or right at the pinnacle if staff is there. Where: Karuizawa Adventure Centre (located at the Karuizawa Prince Ski Area base just beyond the entrance to the Karuizawa Prince Hotel East entrance, please follow the signs for Zipline Adventure. 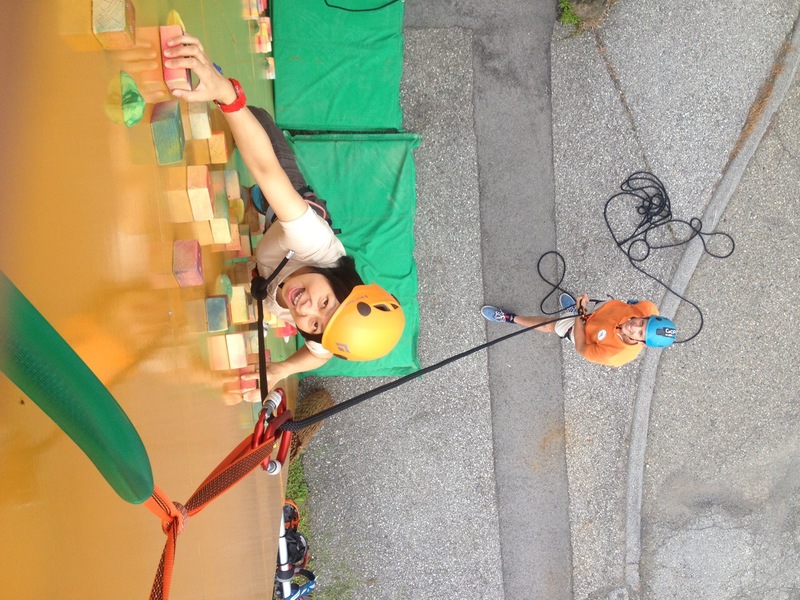 Includes: Equipment and Karuizawa Adventure Center staff belayer. Please bring outwear, rubber soled, closed-toe shoes and a rain jacket. This activity will be suspended in case of heavy rain or lightning.